Two weeks ago in this blog, Brad Jones posted a synopsis of The Demise of Nokia Money where he made a very fundamental point, ‘’...the old adage of payments remains the same – scale takes time’’. Payment services are competitive, forcing low margins and creating the need to build a large customer base doing multiple transactions to be profitable. 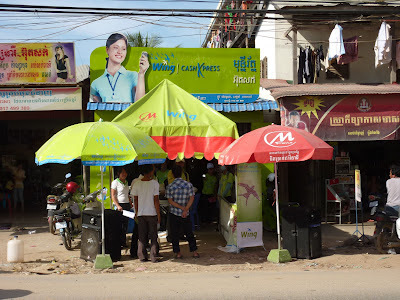 Having worked with Brad and WING Alumni to build & launch WING Mobile Money in Cambodia, and being a keen student of other mobile money implementations, I have identified four core components that in my view need to be addressed to build a successful and scalable mobile payments business. Customer Acquisition requires four things; marketing, marketing, marketing, and customer trust- although this last one can be overcome by a good marketing campaign. Consumers take money seriously and they are not going to blindly trust a payment service with their money. Customers need to be convinced that your service is robust and trustworthy. 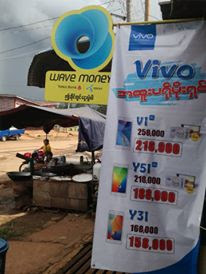 On top of that, whether it’s by card or cash, customers a current means to pay for goods and services or transfer money. If you want an example, look at Visa and the amount of money they spend on the Football World Cup and Olympic sponsorships. It’s not surprising they are consistently one of the world’s most trusted brands. 99.9% service up-time and a universal presence also help. Once a consumer has been convinced of the service merits, how easy it is to activate the service is critical to whether, and how often, a customer uses the service. A major factor in service activation is the regulations that govern services that offer financial transactions. In developed markets like the US where customers typically have a payment cards, services like Google Wallet and ISIS use ubiquitous payment service providers like Visa, MasterCard and American Express and the issuing banks to manage and adhere to the regulations. Customers can download an app and link a payment card, easy. In emerging markets where there are both a large unbanked population and a lack of scheme payment cards like Visa, service activation is more challenging as regulations require a level of Know Your Customer (KYC) checks to be completed. Central banks have or are implementing modified rules around e-Money licences and KYC rules to make it easier for services offering low value electronic transactions, however the physical requirement of ID checks can be a major inhibitor to service activation. How easy it is for a customer to fund the account is the next critical component. As mentioned previously services that link payment cards have an advantage for account activation, in regards to account liquidity, credit card linked services are ideal as they have an approved credit limit, allowing customer to purchase now and pay later. Other accounts that are pre-funded, for example the Google Prepaid Card and American Express’ Serve require customers to plan in advance to fund the account. Consumers typically get paid their salary into their primary bank account. Transferring into a prefunded account via inter-bank clearing can take several business days. This delay compared with the immediacy of current payment methods- cash or card- will be a restrictor in consumers adopting the mobile payments service. Amex’s Serve plans to overcome the liquidity challenge by allowing cash advance from American Express cardholders and voucher based reload cards that can be purchased at convenience stores. This allows for instant value load however the consumer is charged from 2%-5% of the value of the transaction. In emerging markets mobile payments business have the steep hurdle of first convincing cash-only customers to trust storing their money electronically, then to provide cash-in/cash-out network infrastructure. After building customer numbers and linking core service propositions encouraging customer account liquidity, the next challenge is to drive value transactions- that provide good margin and are repetitive. Repeat transactions like transport and coffee transactions will have limited margin as both the merchant and consumer are likely to be price conscious and have existing alternative means to pay. Google Wallet’s positioning that the value is in the ‘big data’ of the transaction rather than obtaining value through transaction fee margin. Speaking with the Asia Pacific Managing Director of a leading global marketing and loyalty company, he said that loyalty programs are ‘’a way to bribe consumers to handover their data’’. Google by linking payments and loyalty programs appears to be a good strategy to collect rich consumer data. Besides big data another main value transaction is facilitating digital content payments. A shining light is the example of Apple’s App Store concept. They collect a 30% commission on digital content sold. In emerging markets with the large number of unbanked & low penetration of scheme debit/credit cards, having a mobile payment mechanism that enables digital content purchasing should allow for a strong negotiating position for a share of the sizable commission. There is no set play book to design and combine the components that make up mobile payments. Each market and target demographic has their own nuances. However the industry appears to be a draw card for innovation and I am enjoying watching the creative solutions both developed and emerging market businesses are adopting.